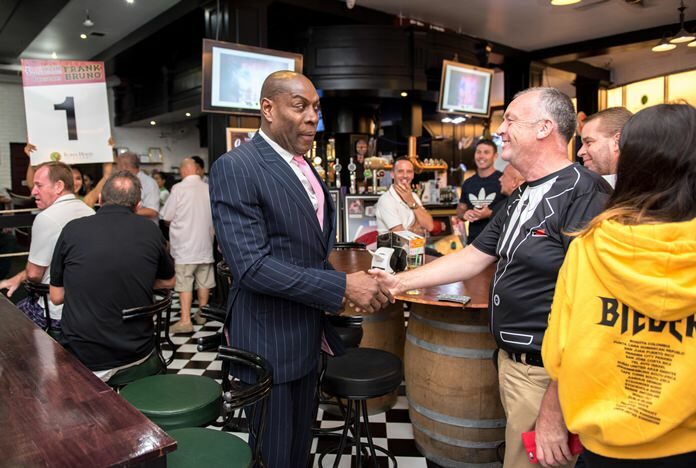 Round 1 – Frank Bruno comes out to greet his fans. 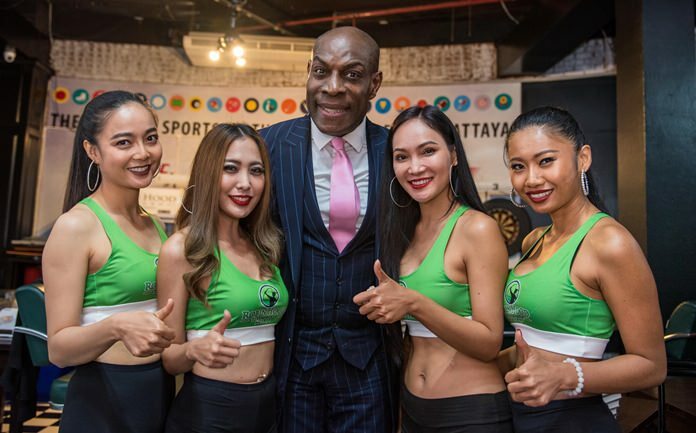 Former WBC heavyweight champion Frank Bruno rang the bell in Pattaya Jan. 18 for two guest appearances after a sell-out boxing event in Bangkok. The day started with a lively and informative press conference held at the Hotel baraquda and attended by representatives from the Father Ray Foundation, Hand to Hand Foundation and Rotary Club of Pattaya. That night, the Robin Hood Tavern at the Avenue galleria closed its doors to the public for a ticket-only night with the boxer. Bruno spent some time greeting guests then sat down to dinner with the VIP ticket holders who paid 4,000 baht each to dine with him. After dinner the VIP and 2,750-baht Gold ticket holders were invited to have their photo taken with the boxing legend. 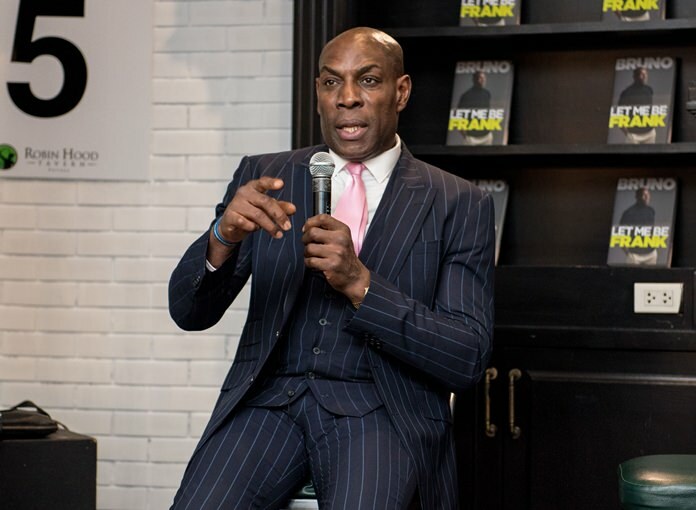 Bruno then joined emcee Paul Strachan for an interview covering the boxer’s early years and challenges, his role models, his 1982-1996 career and the winning of the World Boxing Council title in 1995. But the interview also delved into Bruno’s demons, including being diagnosed as suffering from bi-polar disorder. 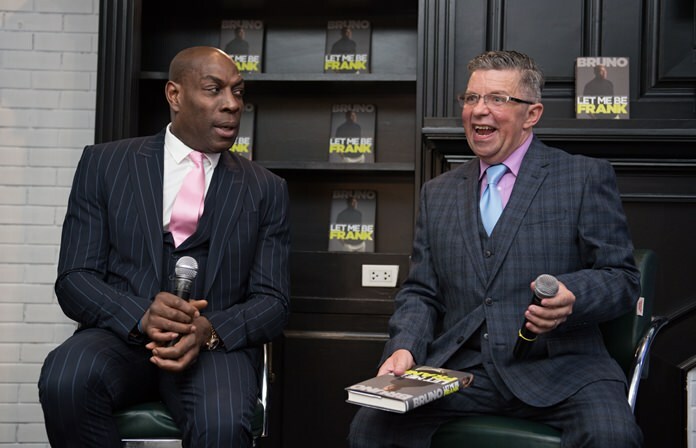 Paul Strachan interviews Frank Bruno about his life and career. 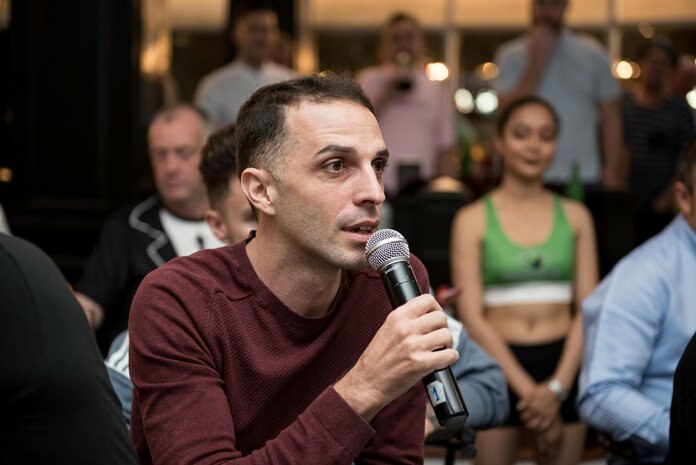 The interview was followed by a lively question-and-answer session from the 100 guests, with most of the questions focusing on Bruno’s boxing career and taking on Mike Tyson. He also gave his opinions on today’s boxers. But Bruno didn’t run off after the questions finished. He stayed for another hour signing copies of his new book “Let Me Be Frank”. Before the session ended, Frank took his time to sign all books that were sold on the night. 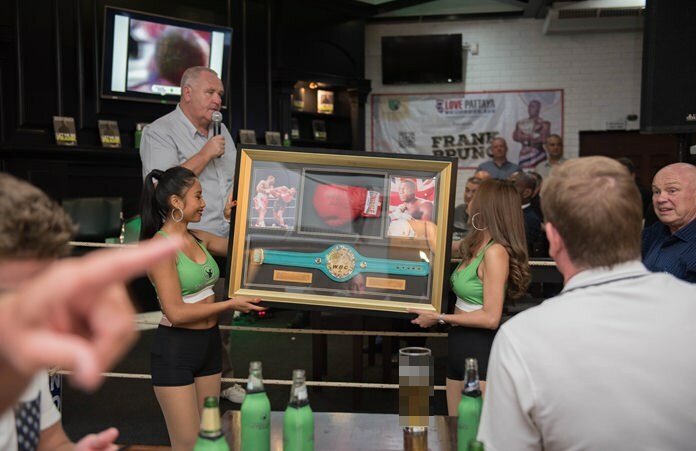 Several items, including some framed photos, trousers and boxing gloves were auctioned on the night. 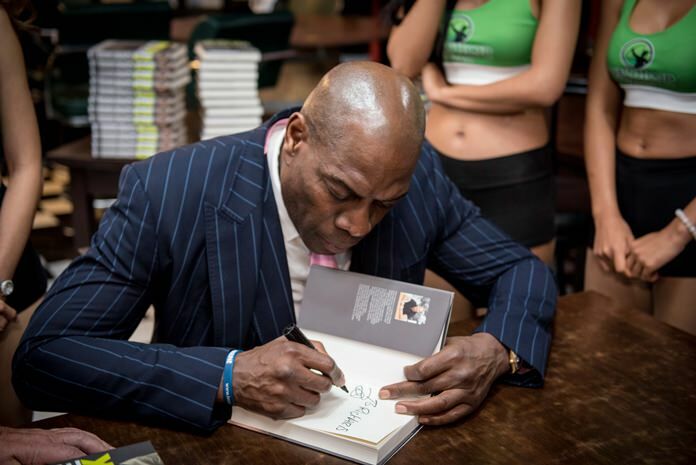 Frank Bruno fans were given the opportunity to ask Frank some questions on his challenges, his role models, and his amazing career. Frank happened to be a very down to earth idol who is humorous and friendly while answering questions. Frank surrounded by several pretties.